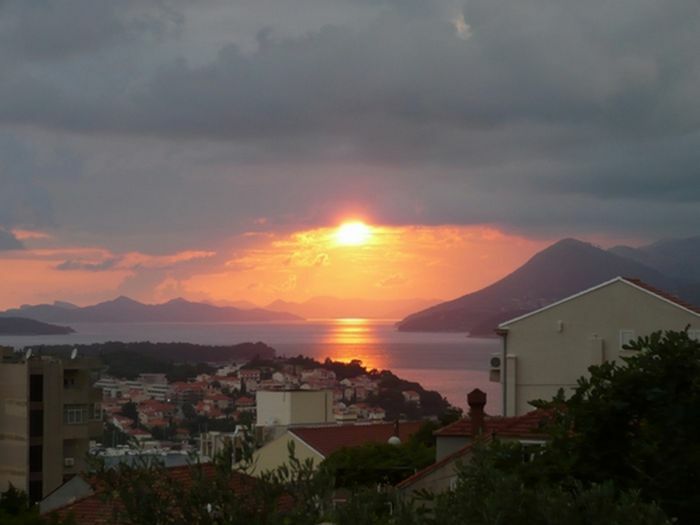 Ivana’ s apartment facing south with magnificent views of the sea and islands, enjoyable at sunshine all day. 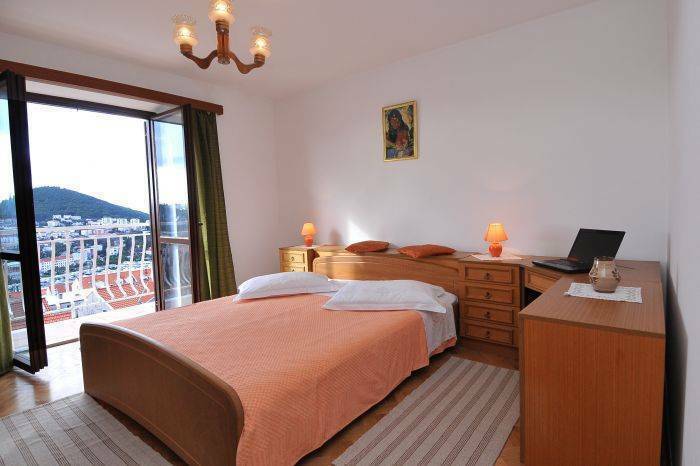 It is consist of three double (double bed) rooms, all of them with sea view. The apartment has a fully equipped kitchen and dining room, two bathrooms with toilet (one with bathtub and one with shower). 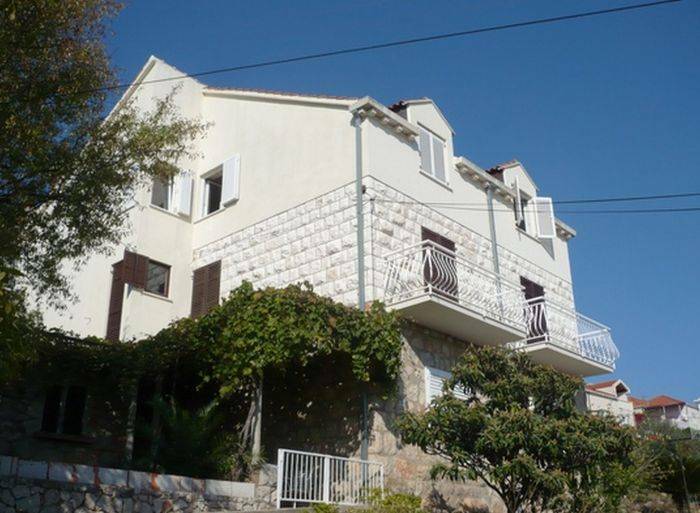 Ivana ‘s apartment is located in the central part of Dubrovnik called Gruz. Only 20 minutes away from the medieval city of Dubrovnik (where many landmarks and famous buildings are: museums, cafes, bars and night clubs ...) and the most beautiful city beach. In the immediate vicinity (15 minutes walk) is a ferry port, bus station, banks, main post office, pizza place, shopping centers, and the bus stop is about 200 meters away. 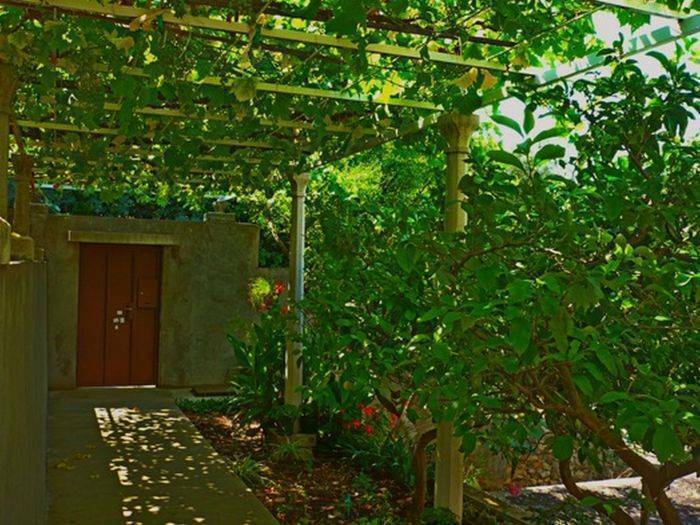 In the back yard covered with kiwi shade is a granite table, a wonderful place for relaxing, outdoor dining, reading, writing and pleasant conversations. There is electrical and coat barbecue and one parking space of course. 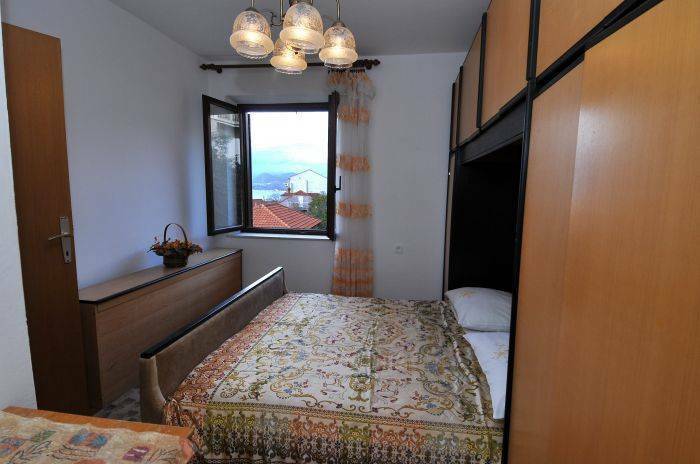 We believe that the Apartment Ivana is a good place for your vacation. Close to: Old city Dubrovnik, Bank, Harbor, Main Bus Station, Post and Shopping Center. Large Apartment 130m2 fully equipped and completely air conditioned. 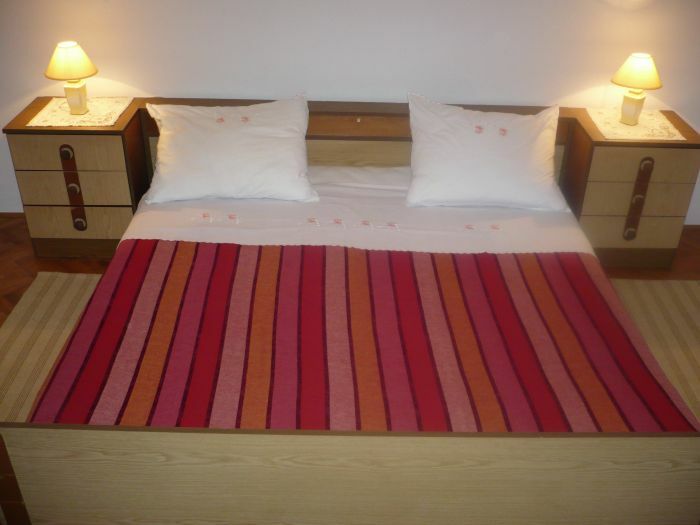 Apartment Ivana S can accommodate 7 persons. Apartment Ivana S. have 3 bedroom, two bathrooms, kitchen, and dining room with large terrace. From the bus station to the apartment you can get bus number 3 (three) or 8 (eight). You need to get off at the third station (Sipcine) turn back aproximately 100 meters and then turn right up 30 meters and you are in the street called Čilipska, Go right up till you get to the number 19 on the left .